Born in 1986 in Changchun, China. 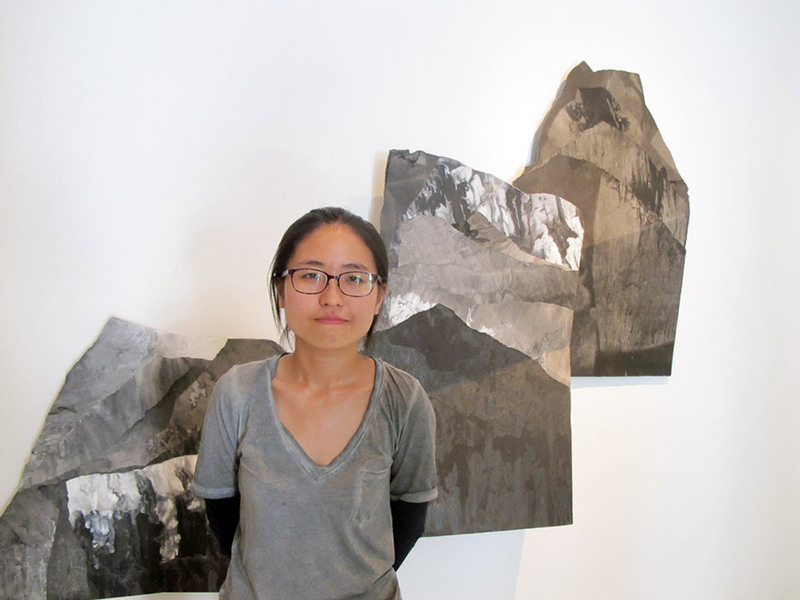 Jin is currently finishing her master’s degree in the Material and Expression Studio in the Department of Chinese Painting. With an extensive background in Chinese ink painting, as an undergraduate Jin focused on figure painting—the least abstract of all ink disciplines. It was during her four years of study, however, that she began to question the ink medium’s expressive origins, how one creates a sense of familiarity or mystery, how one eliminates representation while still maintaining emotion, physicality, and soul. Most recently, Jin participated in the group exhibition « Cold Ink » curated by Tiffany Beres in Hong Kong (April – May 2014).